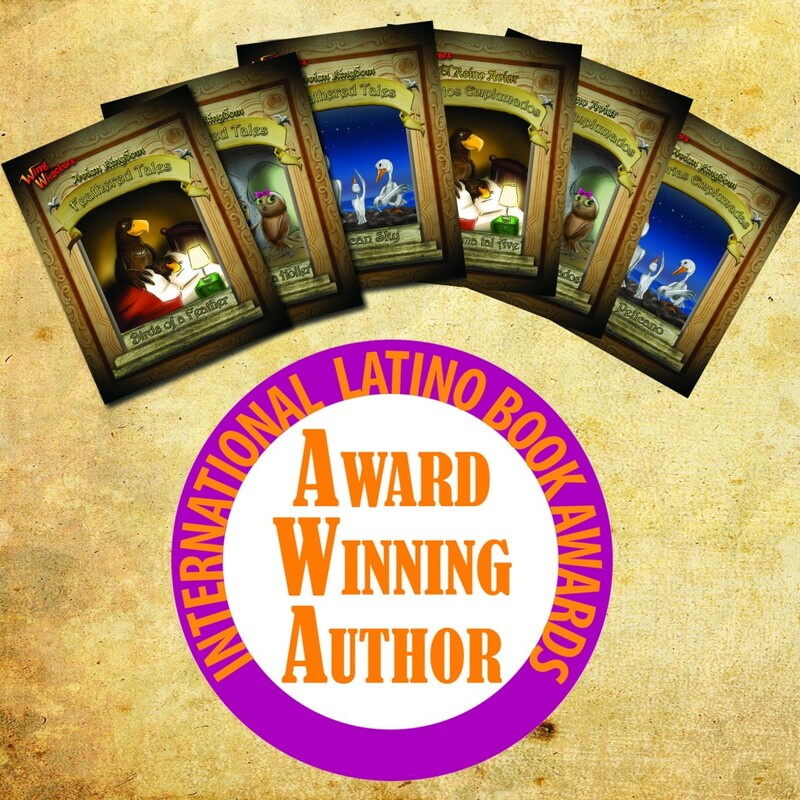 The International Latino Book Awards took place on June 28th in Las Vegas as part of the American Library Association 2014 Conference. The Awards were held at the Clark County-Las Vegas Library Theater. Over the last 16 years the Int’l Latino Book Awards has grown to become the largest Latino literary and cultural awards in the USA. The Avian Kingdom team was excited to be a part of this conference and even more excited to receive a number of awards. For the Best Cover Illustration award, Dos Chiflidos Chiflados took first place, and surprisingly two more Feathered Tales tied for second place: Cielo Pelicanous and De tal Pluma tal Ave.